RUSH: Yes siree, Bob. A little su-su-su-su sudio from Phil Collins. Whatever happened to Phil Collins? I don’t know. But we are still here. We have one big broadcast hour left, and it’s coming right up. 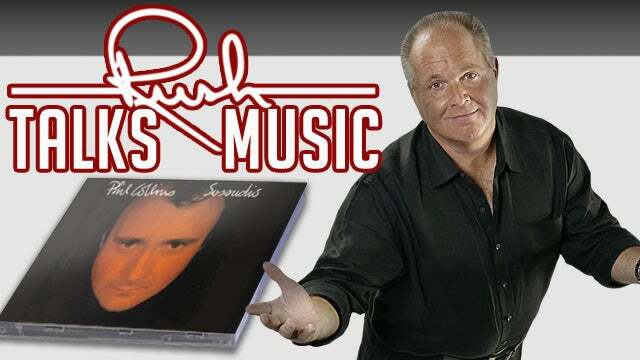 RUSH: By the way, I asked what happened to Phil Collins. Well, it turns out that Phil Collins is gonna start touring soon. He’s got a back problem so he can’t do the drums. He’s kicking off a U.S. arena tour this fall, two nights at Madison Square Garden, got back problems so his son now plays the drums for him. He focuses on the lead vocals. I knew he had health problems. I was asking people what happened to Phil Collins, meaning I didn’t think he was gone. I hadn’t any idea he was still performing. So it’s good to hear.